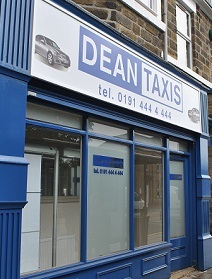 Dean Taxis have always considered that keeping up- to-date with technological advancements is key to their growth and success, making the recent installation of Ghost another logical step in maintaining Dean Taxis’ dominance within the area. It is no surprise that they have selected Ghost as it is the most comprehensive taxi dispatch and management system available. Mr Alex Felce, Managing Director of Dean Taxis, took some time out from his busy day to talk to us. Mr Felce discussed exactly what it was that attracted him to Ghost and how he has found the whole installation process and autocab’s service in general. WHAT WAS IT ABOUT GHOST THAT MADE IT SUCH AN ATTRACTIVE PROPOSITION? WOULD YOU SAY THE OPERATORS JOB IS MADE EASIER WITH GHOST IN PLACE? THE ABILITY TO MONITOR YOUR DRIVERS AT ALL TIMES IS WIDELY RECOGNISED AS A FANTASTIC TOOL, WOULD YOU AGREE? HOW HAVE YOU FOUND THE CALL MONITOR FEATURE AND HOW VALUABLE IS IT TO YOU? WHAT OTHER FEATURES HAVE YOU FOUND PARTICULARLY USEFUL? Dean Taxis’ many years in the business as well as the size of their fleet, has meant that Ghost has been fully tested and proven in the field with resounding success.’’ From all of us at autocab we would like to say a big ‘thank you’ to Dean Taxis, for all their co-operation and fantastic feedback.